Australian Labradoodles require daily exercise. Practicing what you and your puppy have learned in puppy classes daily helps with bonding and offers opportunities for your puppy to grow mentally to be the best he/she can be! Exercise helps prevent unwanted behaviors like chewing objects and jumping on people. Daily mental and physical exercise is the ideal way to help your Australian Labradoodle release energy in a positive and healthy way. Some fantastic ways to exercise your Adult Australian Labradoodle include going on long walks or jogs and taking your pooch to the dog park where she can run around with other canines. 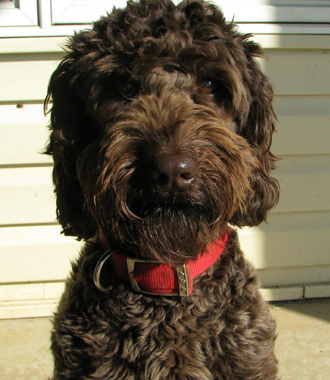 If you’re the outdoorsy type, your Australian Labradoodle can be the perfect hiking buddy when you hit the trails. 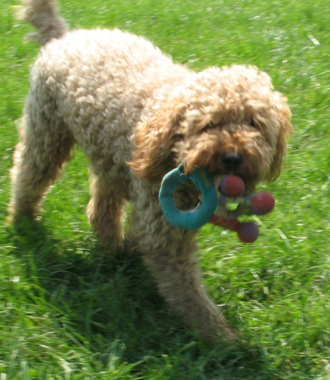 Games of fetch combine both physical and mental exercise for your Australian Labradoodle. When your Australian Labradoodle is indoors, he needs an assortment of toys to keep him mentally active. Rotating toys makes them more interesting to you pet. Avoid taking puppies under the age of one year on runs or stairs. 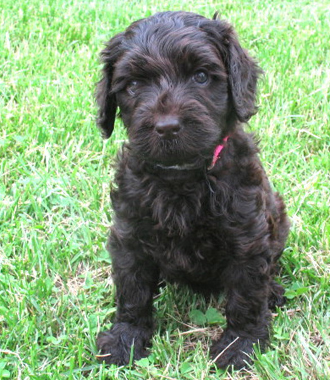 Australian Labradoodle puppies up to 16 weeks old will get plenty of exercise playing in your house and yard. You can begin to teach puppies this age to walk with you by taking them on short walks on a leash—even just down the driveway and back is a good place to start. 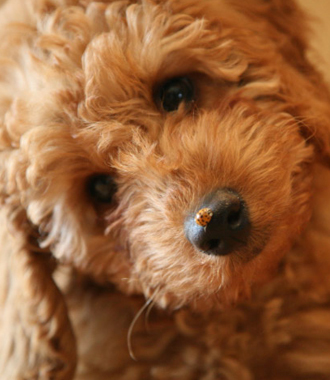 Now that you know how to exercise an Australian Labradoodle, it’s time to meet your new best friend. 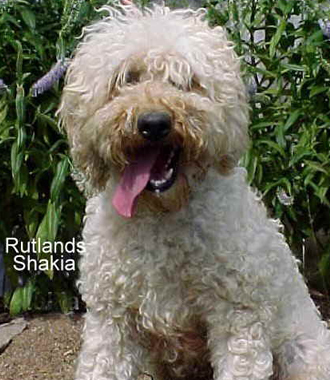 Check out Heartland Labradoodles for authentic multigenerational, non-shedding and hypoallergenic Australian Labradoodles and Australian Labradoodle puppies. Call us today at 319-624-2058 to meet our sweet pups!